As a busy person who is constantly on the go and travels a lot, I understand how hard it can be to stay on track when your normal routines are disrupted. When you’re away from home, you may be eating out more or reaching for “grab and go” options, which can lead to accidentally eating inflammatory foods. This can leave your progress derailed, and you feeling frustrated and stressed. However, I want to encourage you to prepare for success and to try to be present over perfect. This is something I have really had to learn over time, and that’s particularly important to remember when you are traveling and on the go. 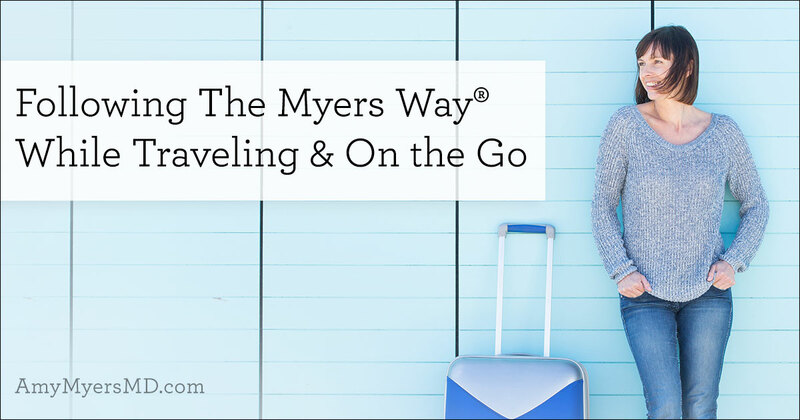 Achieving and maintaining optimal health is a lifelong journey, and I call my programs The Myers Way® because they genuinely are a way of life, and it IS possible to stay on track when you are away from home! 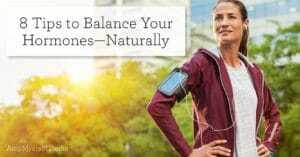 Let’s talk about how to protect your gut and your health, relieve stress, and how to recover as quickly as possible if you do get off kilter while you’re busy and traveling! 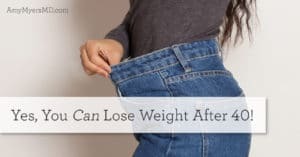 You likely know from following my programs, reading my books, and doing an elimination and reintroduction phase that there are certain “no” foods and some that you can do in moderation. 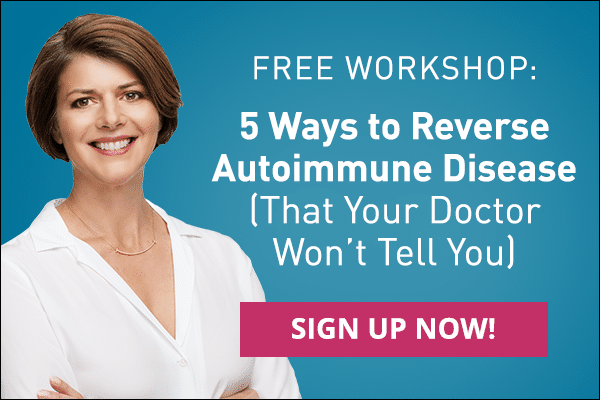 Absolute No Foods: Gluten and dairy are absolute no’s, especially if you deal with autoimmunity, and these highly inflammatory foods can wreak havoc on your health. Additionally, know your own personal no’s and sensitivities. Foods to Enjoy: Quality proteins such as beef, lamb, pork, poultry, and wild fish are all foods to enjoy. Healthy fats and vegetables such as avocado, coconut oil, broccoli, celery, kale, and brussels are all readily available and easy to find. If you have successfully completed a reintroduction phase, potentially inflammatory foods that you can tolerate in moderation are okay. 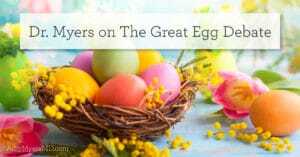 For me, these include: rice, eggs, and legumes. When traveling and on the go, it’s so important to take care of yourself and make your meals and snacks ahead of time. Prepare For Eating on The Go. Prep and pack your own meals and snacks in a cooler bag to take with you. 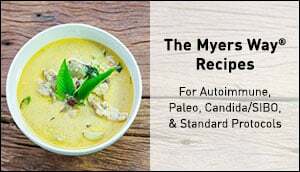 The Myers Way® Recipe eBooks are filled with simple and delicious recipes that are approved for all of my protocols. For on-the-go options, my Paleo Protein for delicious, creamy smoothies is an all-time favorite of mine and others following my programs. Plus, I am so excited to announce that I now have on-the-go bars to offer you! 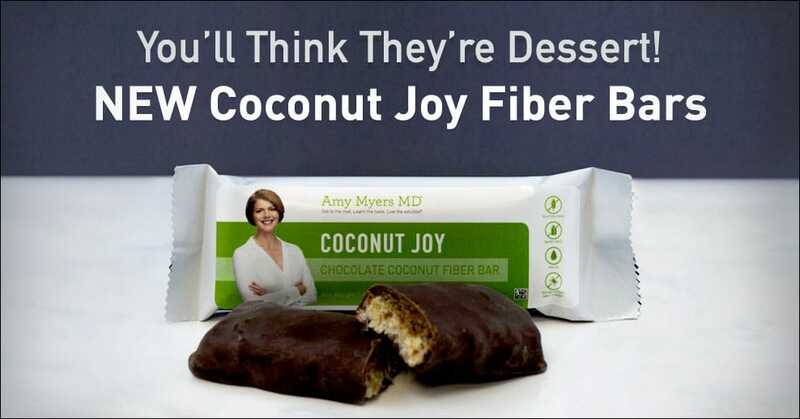 My NEW Coconut Joy Fiber Bars contain 11 grams of prebiotic fiber to encourage optimal health for your gut, contain only 1 gram of all natural sugars, will keep you full, and taste just like a popular chocolate and coconut candy you can find in any grocery store! Take digestive enzymes. I always have digestive enzymes with me. In fact, I recommend that those with celiac and gluten intolerance take enzymes with DPP-IV when dining out. Do your research. I always look up the menus at the hotel where I’ll be staying or restaurant I’m planning on going to and make sure I have options. That way, if I have questions, I can call ahead and talk to the staff and come up with some options for myself while I’m there. Digestive Enzymes. Digestive enzymes help speed up the breakdown and absorption of macronutrients. Be sure to take an enzyme that includes dipeptidyl peptidase (DPP-IV), which helps break down gluten specifically. Binding agents. Activated charcoal, such as the kind in my GI Detox, binds toxins and helps reduce gas and bloating. It’s best to increase water intake when taking charcoal to avoid constipation, which will only delay healing. Flush and Hydration. Fluids will help flush your system and keep you hydrated if you’re vomiting or have diarrhea. In addition, taking glutathione will support your digestive system and work with the binding agents to safely remove the toxins. Omega-3 fatty acids. Omega-3 fatty acids support your immune system and optimal inflammatory response. I recommend my patients take 1-2 grams of omega-3 oils daily, and going up to 4 grams a day for a week after accidental gluten ingestion. Curcumin. This is derived from turmeric, which is part of the ginger family. Curcumin is known for its antioxidant benefits and powerful support for a healthy inflammatory response. L-Glutamine. Glutamine is an amino acid that supports the gut lining as it grows and repairs, undoing the damage caused by gluten. I advise my patients to take 3-5 grams a day for a week after exposure to their no foods. Remember, we cannot eliminate stress, but we can RELIEVE that stress so that it doesn’t affect your health. Again be prepared and present as best as possible and don’t try for perfection! Shipping things ahead of time: I like Butcher Box for grass-fed meats, and Thrive Market for pantry items. Asking for help: Stress can cause an upkick in your symptoms, and one of the most important things to do to relieve that stress is to ask for help before you get overwhelmed. These are in my own personal arsenal to support my gut health, immune system, detox pathways, and adrenals and I always make sure to pack them with me while traveling! The Myers Way® Adrenal Support. Adaptogenic herbs help reduce stress hormones when they are high and increase them when they are low. I recommend taking Adrenal Support if you are chronically stressed or going through a stressful time. Collagen. The toxins we are exposed to every day must be processed by your liver in order to be detoxed out of your body. Glycine, which is found in collagen, supports your digestive system during detoxification and reducing the damage to your liver. The essentials. 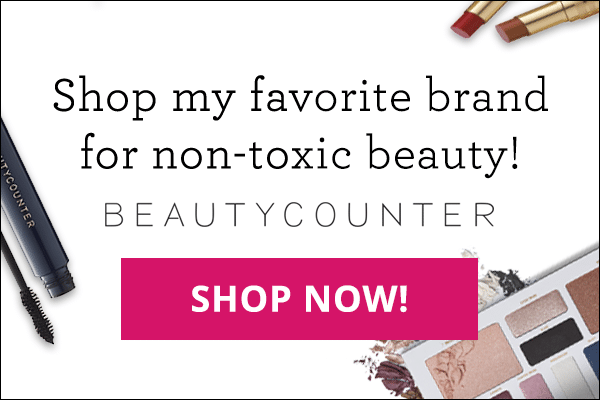 I recommend these essentials for a strong all-around foundation: multivitamin for all of the essential vitamins and minerals you need. Probiotics to maintain healthy gut microbiome. Omega 3 to encourage a healthy inflammatory response, support thyroid health, and promote cognitive function, and Vitamin D/K2 to support your immune system. Remember to pick your battles. Give up on being 100% perfect and instead focus on doing the best you can and being present! On-The-Go Sweet Treat: Coconut Joy Fiber Bars! Coconut Joy Chocolate Fiber Bar is a sweet treat lover’s dream. It’s a buttery coconut bar covered in silky dark chocolate, with only 1 gram of all-natural sugars. These bars are made with absolutely NO inflammatory ingredients such as gluten, dairy, GMOs, or harmful sugars. There’s no need to feel guilty for enjoying this treat! Plus, this bar contains 11 grams of prebiotic fiber to support a thriving metabolism, keep you full, and promote optimal immune function.